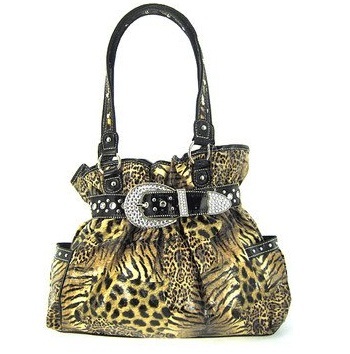 Style and Animal print mix pattern all in one. 14.5w x 11h x 4d in. The purse drop of the handle 11 in.